It’s pretty amazing how a tiny seed can eventually become a mature tree. 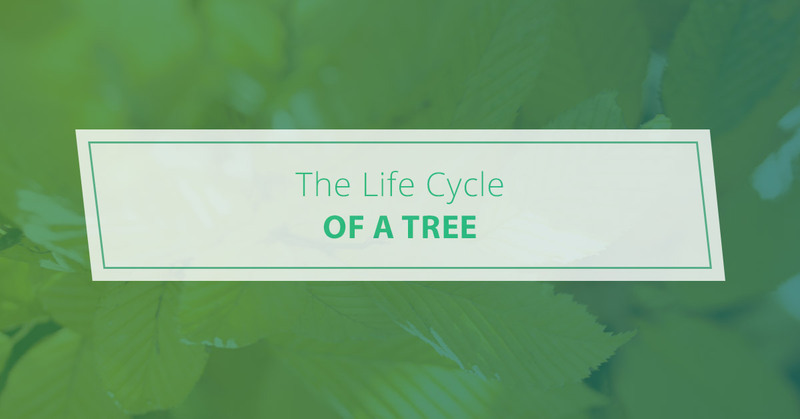 In this post, we thought it would be interesting to look at the different stages of a tree’s life. Keep reading to learn more. Every seed needs a safe place to germinate. Basically, the primary root breaks through the seed, securing the seed and providing water to the developing plant. Once this occurs, the next stage in germination takes place. Keep in mind that the shoot consists of the shoot leaf and the two sections of the shoot located above and below what are called cotyledons. Interestingly, the shoot can choose how it develops. It can either grow from below the shoot leaf, pushing the whole shoot up through the soil, or from above the shoot leaf, pulling just the tip of the shoot up through the soil. The shoot becomes a seedling once it gets above ground. It’s during this stage when the tree is most susceptible to diseases and damage. Up until the tree reaches three feet tall, it’s considered a seedling. Curious what differentiates a sapling from a mature tree? Well, let’s start with the fact that a sapling’s trunk tends to be more flexible. Not only that, but a sapling’s bark is often thinner and smoother. So how long does a tree remain a sapling? Frankly, it all depends on the species. For example, trees with long lifespans such as oaks remain in this stage for much longer than shorter-lived species. Once you notice a tree is producing flowers or fruits, it’s entering the next stage of its life. Now, as we’ve mentioned in previous posts, trees are hearty creatures. Let’s take a closer look at just how long trees can live. Take an English oak tree, which might not produce acorns for 40 years. Fun fact: Oaks can be productive for 300 years and then rest for another 300 years before reaching the next stage in their life cycle. It’s impossible to label ancient trees by their age. So what identifiable characteristics allow you to tell if a tree is beyond maturity? Two giveaways are a small canopy and a wide trunk. Now, a tree may be called ancient when it’s in its early hundreds like rowan or when it’s thousands of years old like yew. It’s all species-dependent. A tree in the final stages of life is called a snag. Both dead standing trees and dying trees fall into this category. But don’t think that a dead tree has no use to the environment whatsoever. In fact, dead wood provides homes to insects and a food source for bats, birds, and other small mammals. Of course, such creatures also rely on dead trees for shelter during storms. At Pro Tree Service in Chicago, we love trees just as much as you do. Unfortunately, there comes a time when tree removal might be the only option. Do you notice natural splitting or cracking at critical parts of the tree? Is there damage from wind gusts or lightning strikes? Lastly, has your tree become a safety hazard to you, your family, or your neighbors? In any of these cases, tree removal makes sense. But with so many local tree companies to choose from, how do you know which is best? Well, you can feel comfortable knowing that Pro Tree Service has been Chicago’s choice for tree removal since 1989. Whether you need us to remove a few small bushes or an entire tree, you can count on us to get the job done right. Plus, thanks to our Best Price Guarantee, there’s no need to worry about tree removal breaking the bank. Just come to us with any reasonable, written estimate and we will match or beat it by 10 percent.